Utilizing a San Diego Mobile Notary Public is usually a very simple process, which is quick and so simple that it often takes about ten to fifteen minutes. However, when it comes to choosing and preparing for a mobile notary public signing for a elderly or disabled person, it becomes a little more complicated. Some of the concerns of the client or the family member of the client are regarding the safety of having a mobile notary public come to the house of an elderly person, how to have them notarize paperwork when they don’t have a valid identification anymore, what if they aren’t able to sign their name, what if they are hard of hearing, or if they are currently being treated for an illness and are on medication? One of the main concerns is regarding sending a stranger to an elderly client, or family members house, this is a well known concern for many clients, and they should do their research in regards to reviews of the San Diego mobile Notary Public they contact, as well as request to know the name and phone number of the specific notary public who will be going to the signing. It is important that the clients feel comfortable with their notary public, and they can always cancel and call someone else if they are not comfortable with the company they spoke to. We have had clients call and state that they didn’t want to go with another company because they did not state who they were sending out, and would not provide the information for their mobile notary public. 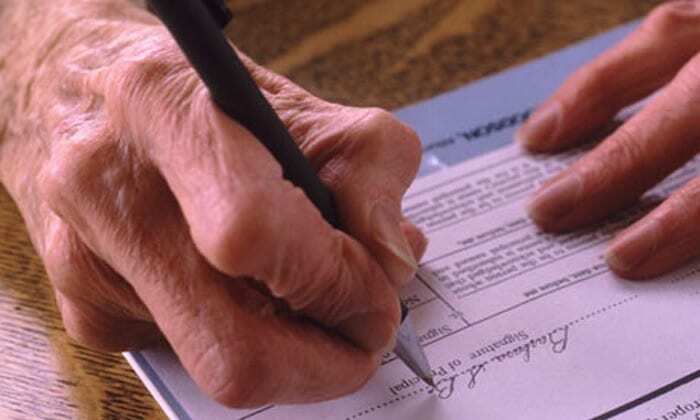 Another concern is whether a elderly person is able, lucid, and capable of signing their name. San Diego Mobile Notary Publics do require that the person signing be able to acknowledge what they are signing, and not appear to be coerced or unwilling to sign the document. They must be able to communicate with and understand the mobile notary public, as well as be able to sign their name. If they are unable to sign their name, they may get notarized using signature by mark, this requires two witnesses to be able to witness the mark, write the name of the signer next to the mark for them, as well as sign in the notary public journal as a witness to the mark they make in the notary public journal. Another concern when hiring a mobile Notary Public is whether the person who is signing has any valid identification that the notary public can accept. Valid ID is considered state issued iD that has not expired, it does not have to be California ID, passports, certain military IDs, etc. An ID can still be used when it is expired IF it was issued within 5 years of the date of the notarization. For example, the mobile Notary Public comes to notarize paperwork on July 4th 2015, the ID expired Jan 4th 2014, but was issued July 16th 2010, since it has not yet been 5 years since it was issued, it would be acceptable for notarizing. Some mobile Notary Publics are unaware of this fact, and will simply look at an expired ID and not inquire as to whether it was issued less than 5 years ago. If you have this case, make sure to tell the notary public about this ahead of your appointment, and do not just say it’s expired without informing them that it was issued recently enough. If the ID is both expired, and issued over 5 years ago, which happens often, then it is best to go get a valid form of ID issued, if it’s very difficult and unreasonable for a signer to be able to obtain valid ID, and no valid ID exists, two credible witnesses who both have valid ID themselves can stand in as the identification for the signer. But they must take an oath regarding the fact that they personally know the signer, that the signer does not have valid identification, that it would be difficult for the signer to obtain identification, that they have no interest in the document, and they must not be named in the document. It is best to not use family members, but this can be checked with a lawyer. We are not lawyers, and are prohibited from giving legal advice, this article is written for information purposes about the procedures of obtaining a San Diego Mobile Notary Public, and the requirements and laws a notary public must follow in regards to notarizing a client who cannot sign their name, does not possess identification, or is elderly or has a disability.